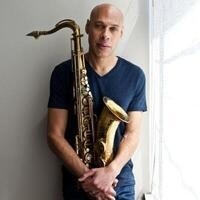 Joshua Redman, one of the best-known jazz saxophonists in the world, is joined by drummer Brian Blade, bassist Scott Colley, and trumpeter Ron Miles, three of the most imaginative voices in contemporary jazz. Together they interpret the Old and New Dreams, the avant-garde free jazz group of the 1970s and '80s. This renowned quartet of Ornette Coleman alumni included Joshua's father, Dewey Redman. With repertoire consisting of Coleman compositions and original works, their music was honest, uninhibited, and completely engaging in its unpredictable live execution.